Since the inception of Android OS, web browsers developers have been trying their best to develop a better mobile version web browser for Android smartphones and tablets. Since most smartphone users spend most of their time on the internet, and only little time on other applications. 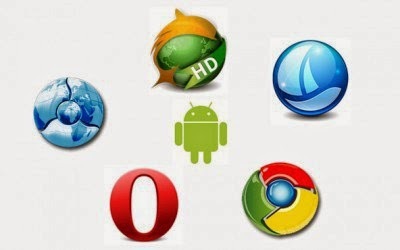 There are so many web browsers available on Google Play Store, but selecting the right one can seem difficult. Some features such as: browser speed, downloader, zooming, cache and so many, needed to be considered before choosing a web browser for your smartphone or tablet. So today, I want to list out 5 awesome and best android web browsers that can use be used on Android smartphones and tablets. Google Chrome browser for Android now comes as a default browser in many high-end Android smartphones, it is on our top list of the best Android mobile web browser application for 2013 as it is embedded with so many features to make browsing on Android smartphones & tablets fast and fun. 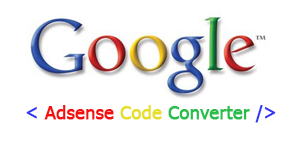 Google Chrome for Android comes with a simple UI and intuitive search functions, that have been important from the world’s most used PC Desktop web browser. It also has a “Sync” feature that allows users to take the bookmarks and saved passwords from their desktop Chrome to mobile Chrome. 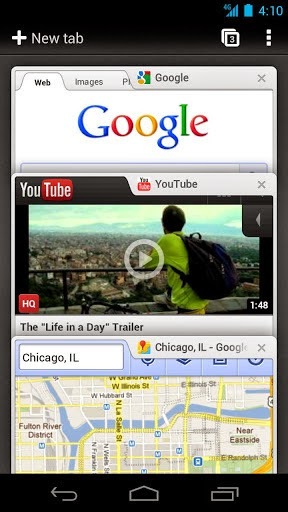 This browser is available for both phones and tablets that run Android OS. • Accelerated browsing, scrolling and double tap to zoom. Maxthon browser claims to be a cloud based multi device browser. So if you have multiple devices, you can use Maxthon web browser on each device to sync all your data via the cloud. This browser is available for Apple iPad, iPhone, iTouch, iMac, MacBook, Kindle Fire and Blackberry users. 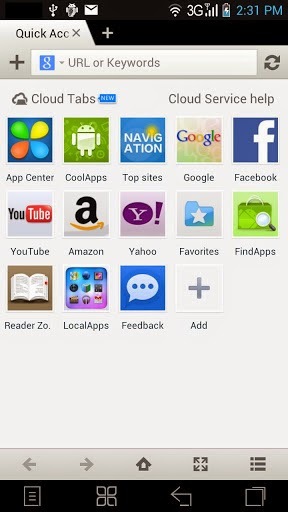 Maxthon is an awesome mobile web browser for users running Android on their mobile devices. It is fast and comes with support for private browsing, it’s free and no ads are shown, cloud syncing, add-ons, cloud based tabs, cloud Push, cloud download, private browsing, reader mode, a good download manager and Powerful personalization. UC Browser is a simple web browser application that provides users both mobile and desktop modes of browsing experience. This web browser has received numerous awards in the past, it has several adaptable functions that users can set in order to reduce data traffic over different network connections. It features includes: Quick Reads, Download Manager, Night Mode, Multi-Touch, Vox (Voice control features) and inbuilt share options to facebook, twitter and Google+. 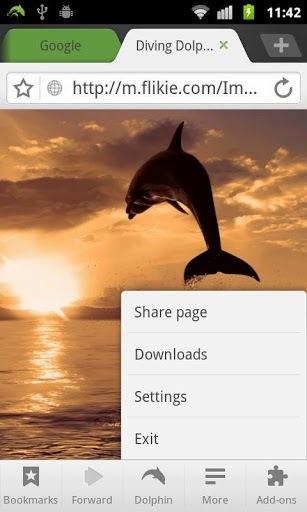 Dolphin Browser is one of the most popular web browser application stored in Google’s Play Store. Over 15 million users currently browse the web with Dolphin Browser due to its gesture based web surfing that makes browsing fast and easy. Some of it features includes: Webzine (Fast Web page loading, with no ads), Speed dial, sidebars and interesting add-ons. 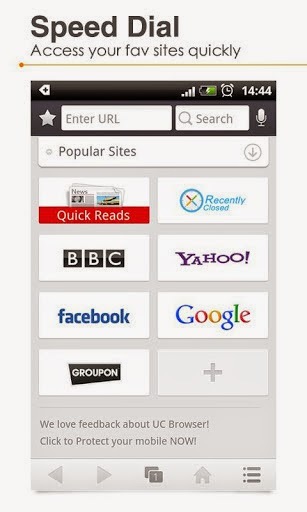 Opera Mobile Web Browser is the oldest browse in the mobile world. 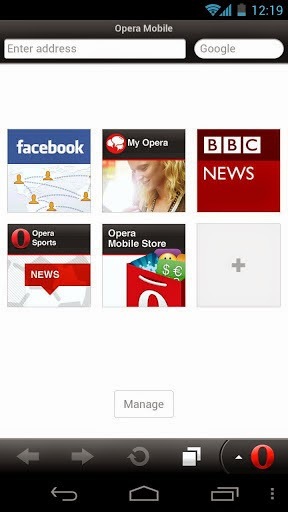 Android users love it due to its sleek and easy to work around UI, the Speed Dial and the Opera Link service function. Opera Mobile Web Browser offers you fast and simple browsing experience and it is available for android phones and tablets. If you consider that this post should’ve contained other Android web browsers then you should tell us in comments and we will update the post accordingly.